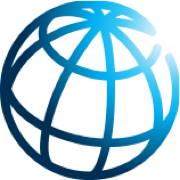 The Annual World Bank Land and Poverty Conference in Washington DC will present the latest research and practice on the diversity of reforms, interventions, and innovations in the land sector around the world. The 2018 conference theme will be: Land Governance in an Interconnected World. The conference has become one of the largest international events on land governance, attracting over 1,300 participants in 2017 from governments, academics, civil society, and the private sector. The Netherlands is always well-represented and LANDac strongly encourages Dutch actors to attend and share state-of-the-art knowledge and practice on land governance both at home and abroad. LANDac Coordinator Lucy Oates writes about the conference in 2017 here. Going? Let us know by emailing Lucy at l.e.oates@uu.nl.